Projector Cube Lift from Swastik projection Screens Delhi is a high end product with economical lifting system for projectors. Our high end cube project lifts can be easily attached and adjusted to the projection surface. These types of lift can be efficiently used in conference and training rooms. If you are looking for best lifting system at economical rates then you will be happy to give it a try. 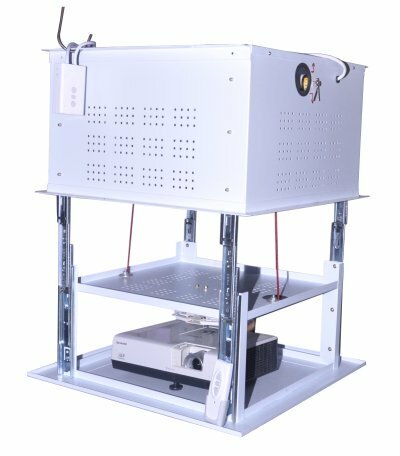 Contact us for demo, specifications and to place order for cube projector lifts.